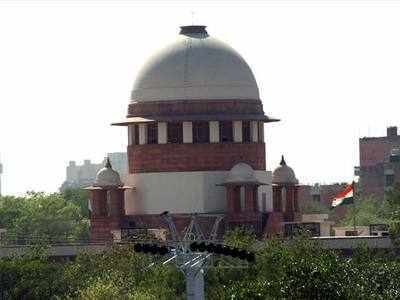 NEW DELHI: The Opposition parties in the Rajya Sabha have started pressing the presiding officer to facilitate a debate on the unprecedented rift among Supreme Court judges which became public after four senior judges held a press conference last month to protest against the attitude of Chief Justice of India Dipak Misra. The House should hold a structured debate on the happenings in the apex court, which have become a matter of public concern, opposition leaders told deputy chairman of Rajya Sabha, PJ Kurien, in a meeting in his chamber on Friday, people aware of the matter said. However, Kurien told the opposition leaders that a decision on listing a matter pertaining to the apex court is a sensitive issue that can be handled only by the chairman. The opposition leaders now plan to raise the issue with the chairman, M Venkaiah Naidu, said one of the persons, who did not wish to be identified. The leaders who met Kurien included DP Tripathi (NCP), Pramod Tiwari (Congress), Sukhendu Shekhar Ray (TMC), D Raja (CPI) and Rangarajan(CPM).